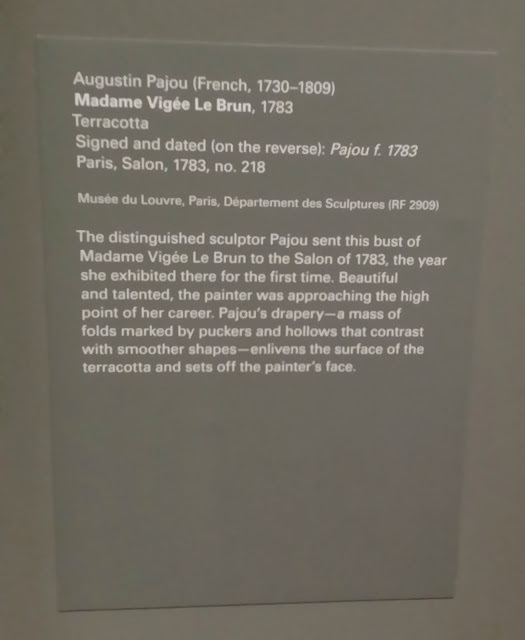 Upon my recent trip to the city on Easter weekend, I had the pleasure of viewing this fabulous exhibit at the Met Museum. I am such a fan of these types of paintings, the age of the paintings and that they are in such pristine shape. The frames that hold these paintings are as gorgeous as the paintings themselves. This exhibit was extraordinary. They looked like the person in the painting was going to blink! One artwork had a lady holding pearls that I felt I could just grab out of the painting. I would love to see this one more time before it leaves the Met, and I just may try to do that as will be in the end of April. It is really worth a second look! You can view all the 80 paintings shown on the MET Website but seeing them in person is so much better!! Elisabeth Louise Vigée Le Brun (French, 1755–1842) is one of the finest 18th-century French painters and among the most important of all women artists. An autodidact with exceptional skills as a portraitist, she achieved success in France and Europe during one of the most eventful, turbulent periods in European history. In 1776, she married the leading art dealer in Paris; his profession at first kept her from being accepted into the prestigious Académie Royale de Peinture et de Sculpture. Nevertheless, through the intervention of Marie Antoinette, she was admitted at the age of 28 in 1783, becoming one of only four women members. 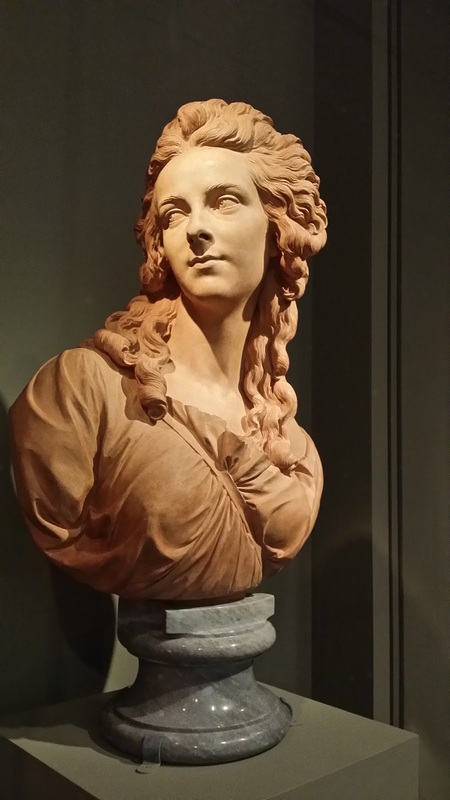 Obliged to flee France in 1789 because of her association with the queen, she traveled to Italy, where in 1790 she was elected to membership in the Accademia di San Luca, Rome. 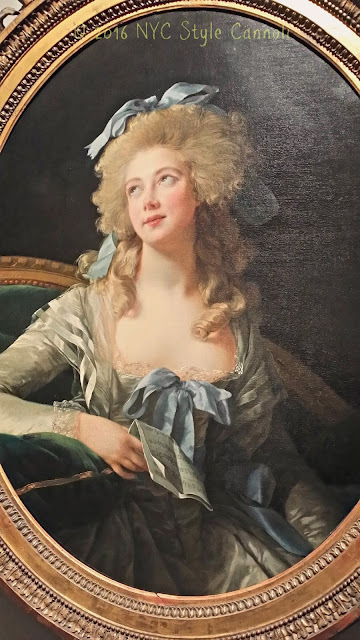 Independently, she worked in Florence, Naples, Vienna, St. Petersburg, and Berlin before returning to France, taking sittings from, among others, members of the royal families of Naples, Russia, and Prussia. While in exile, she exhibited at the Paris Salons. Vigée-LeBrun returned to France for good in 1809. She divided the last 33 years of her life between her Paris residence, where she held glittering salons, and her country house at Louveciennes. 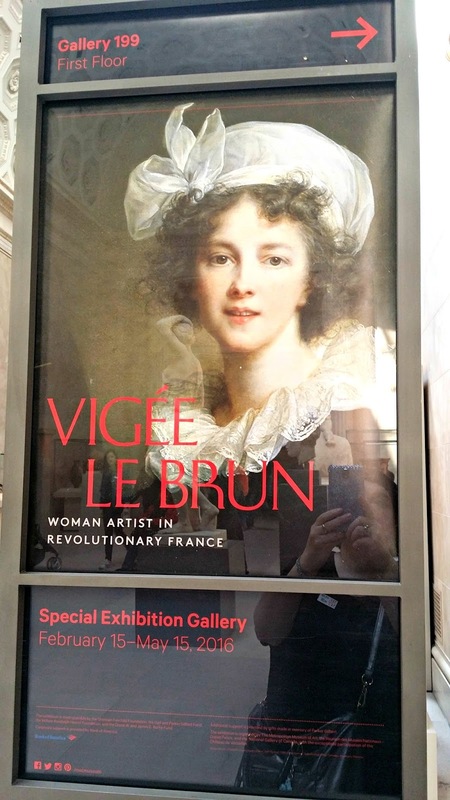 Scholars estimate that Vigée-LeBrun produced more than 600 paintings. Her memoirs, originally published in 1835–37, have been translated and reprinted numerous times. She was remarkable not only for her technical gifts but for her understanding of and sympathy with her sitters. This is the first retrospective and only the second exhibition devoted to Vigée Le Brun in modern times. The 80 works on view include paintings and a few pastels from European and American public and private collections. She was quite a beauty in her own right! 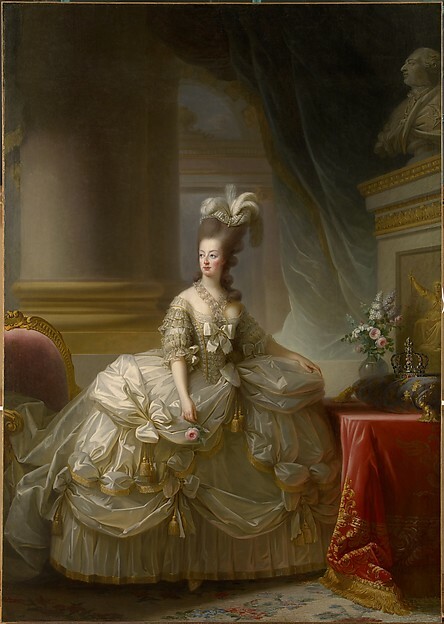 In 1777, Empress Maria Theresa of Austria wrote to her daughter Marie Antoinette (1755–1793) asking for a portrait. Vigée Le Brun received the commission, her first from the queen. She remembered that the queen "walked better than any other woman in France, holding her head very high with a majesty that singled her out in the midst of the entire court." This painting of Marie Antoinette was just beautiful. I felt I could touch the lace on her dress, which looked very heavy to me as well. This was a remarkable piece to see in person. Another gorgeous piece of artwork that looked so real. The detail is just amazing.